We were referred to Rick by someone who we trusted who had worked with him previously and we were very happy with the service and results. Prior to calling TASN we had unfortunately gone with a company that we did not check out on Homestars first and we were unfortunately ripped off. Rick came in, diagnosed the problem with our old dryer and had it fixed ASAP.Great service and would gladly use him again or refer him to anyone we know! A good reputation is an invaluable commodity and has allowed us to continue serving our customers for many years. We strive to leave our customers satisfied so that they will call us again and refer us to others. Thank you for "telling 2 friends"; there is no better advertisement. My dishwasher was leaking. He quickly identified the broken part and installed a temporary valve to stop the leak. He ordered the part and returned 3 business days later to install the new part. Delays in fixing a broken appliance can be quite inconvenient. Every attempt is made to obtain necessary parts quickly and provide a temporary solution if possible to minimize any damage that might be caused by the appliance to its surrounding environment. We can't say enough great things about Rick, who repaired our vintage Kenmore stove in no time. He was on time, accurate, polite and told us not to give up our stove for anything new. He was tremendously knowledgeable and gave us tips on maintaining it for years to come. We have been in this business for many years and have experience with many makes and models both old and new which enables us to advise on most appliance problems. It is our aim to fix your problem and keep you up and running as best we can. Richard was amazing! Was spot on with the problem, fixed it. He did not tell me he needed to replace anything where others may have and tried to make $$ on parts. Will definitely use him again if needed!! Experience allows our technicians to accurately and quickly access your appliance problem (in the majority of cases) and provide a cost-effective solution whenever possible. Excellect and fast service! Rick was on time, fixed my washer quickly and left no mess behind. He was also very friendly! I would use them again for any appliance repairs. Your time is as valuable as ours so every attempt is made to provide a "realistic" window of time when a technician is available and to arrive within this framework. On Jan 11th, my wife and I returned from a two week vacation to find our fridge had also taken a vacation. It appeared to have stopped working shortly after our departure, and was in quite the state. Fearing we’d have to throw it out, we called Rick at TASN. Rick calmly reviewed the situation, and reassured it was likely not as tragic as it might seem. The following day he arrived as scheduled, and promptly resolved the problem. He even offered ways to eliminate the smell. 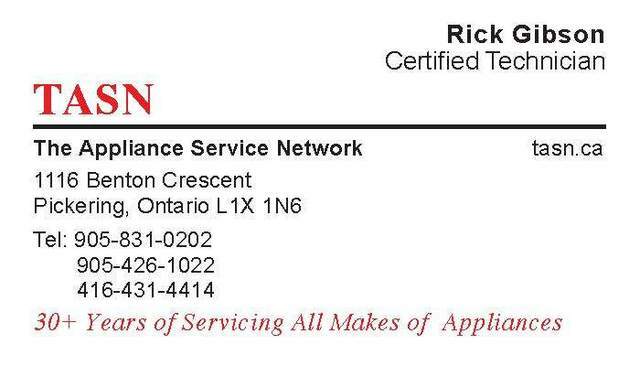 I will definitely contact Rick for all our appliance repairs needs. Customers having appliance issues tend to jump to the "worse case scenario" which isn't always the case. Our professional technicians can access the situation realistically and give you options for resolving the situation. Our dryer was no longer producing heat. We contacted TASN and were told that it would likely not be until Monday (it was Friday) that we could expect a visit. Rick took our number and said he would call us if he got a cancellation. Later in the afternoon, we got a visit from Rick. He finished early on his previous job and thought he would drop by on his way home. He diagnosed and promptly replaced a broken thermostat. Rick was knowledgeable and courteous. Very happy to have found him for any future appliance repairs. Glad you were happy with the service provided. We make every effort to attend to our customers in a timely fashion, however, we do not like to promise a time frame which we are not fully confident that we can fulfill. Hope we can be of assistance in the future. I called TASN after our oven control began beeping constantly. Rick diagnosed the problem and ordered a new control board. When the board came in he installed it and tested the oven. He was fast, friendly and professional. Hope you were not without use of your oven for too long Rob and that everything is now functioning well. We strive to attend to our customers needs as quickly as we can as we know it is quite an inconvenience to have appliances especially an oven out of commission. 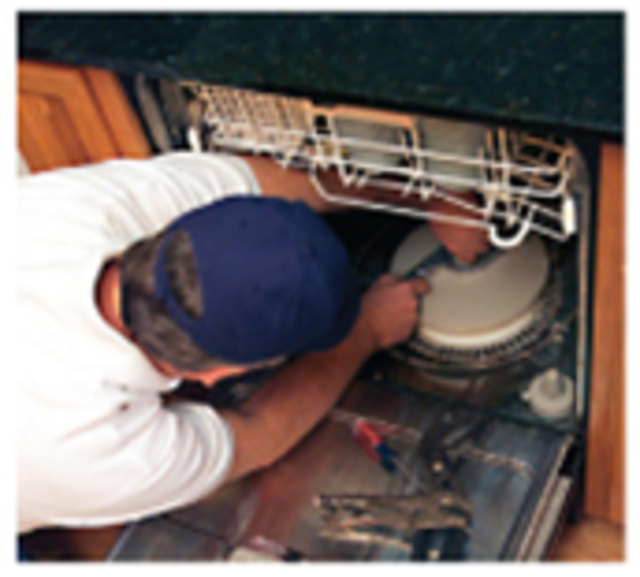 I have now used The Appliance Service Network on several occasions for different appliances. Rick's service is always prompt, reliable and accurate. I highly recommend his service and will call on him again if needed. Thanks Susan for taking time to complete a review. We are glad that you were satisfied with our service and will call us again. We have knowledge of and have worked on most major appliance brands and are ready and equipped to meet your appliance service needs. I have used Rick at TASN for many years now . He has repaired my appliances and has also recommended when not to repair but rather to replace it. I have trusted Rick's honesty, promptness and his fair price ,that it came very easy to recommend him to my friends and family. We appreciate your loyalty Sam. The repair vs replace question arises frequently and our desire is to provide our customers with accurate information so that they are able to make an informed decision that fits with their needs and situation. 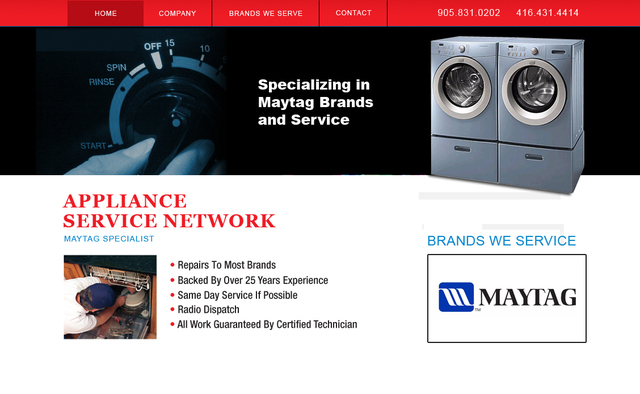 The Appliance Service Network has been servicing most makes and models of major household appliances for over 30 years. We are committed to providing our community with prompt and efficient service by professional and knowledgeable industry-certified technicians who strive to keep abreast of ongoing changing technologies. We recognize your appliances are necessary in the smooth operation of your household and we are dedicated to responding and correcting any problems you may be experiencing as quickly and cost-effectively as possible. Same day service is provided whenever possible and all work is guaranteed.